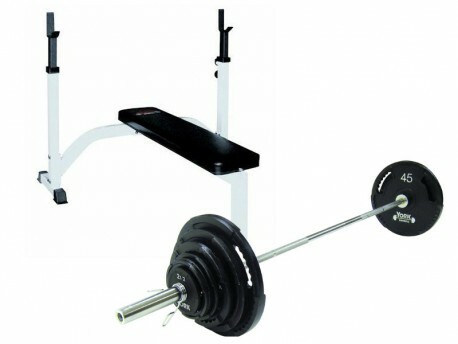 York's light commercial heavy duty flat olympic bench, and a full G-2 weight set with grip holes. This is everything you need to start benching. Telescoping Uprights are adjustable from 33"H to 46"H, in 2 1/2" increments.